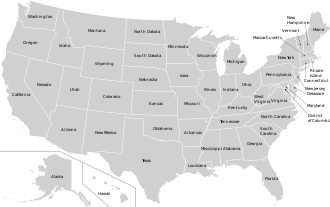 US FWS Jurisdiction throughout the United States. The United States Fish and Wildlife Service Office of Law Enforcement contributes to Service efforts to manage ecosystems, save endangered species, conserve migratory birds, preserve wildlife habitat, restore fisheries, combat invasive species, and promote international wildlife conservation. Breaking up international and domestic smuggling rings that target imperiled animals. Preventing the unlawful commercial exploitation of protected U. S. species. Protecting wildlife from environmental hazards and safeguarding critical habitat for endangered species. Enforcing federal migratory game bird hunting regulations and working with states to protect other game species from illegal take and preserve legitimate hunting opportunities. Inspecting wildlife shipments to ensure compliance with laws and treaties and detect illegal trade. Working with international counterparts to combat illegal trafficking in protected species. Training other federal, state, tribal, and foreign law enforcement officers. Using forensic science to analyze evidence and solve wildlife crimes. Distributing information and outreach materials to increase public understanding of wildlife conservation and promote compliance with wildlife protection laws. In order to become a FWS Special Agent, an applicant must be between the ages of 23 and 37. However, due to the decision in Robert P. Isabella v. Department of State and Office of Personnel Management, 2008 M.S.P.B. 146, preference eligible veterans may apply after age 37. In 2009, the Office of Personnel Management issued implementation guidance on the Isabella decision: OPM Letter The applicant must also hold American citizenship, have a clean record, and hold a four-year bachelor's degree. In addition, all special agents are required to sign a mobility agreement which indicates a willingness to accept a reassignment to any location as dictated by the needs of the Service. New special agents attend the Federal Law Enforcement Training Center at Glynco, Georgia for 18 weeks of training. This training includes comprehensive courses in protective techniques, criminal law, use of special investigative equipment, use of firearms, and defensive measures. Rules of evidence, surveillance techniques, undercover operations, and courtroom demeanor are also studied. Classroom study is supplemented with on-the-job training when agents report to their assigned field stations. As agents in training, they assist in carrying out surveillance activities, participating in raids, interviewing witnesses and suspects, searching for physical evidence and clues, seizing contraband, and serving search warrants. The emphasis on training and the vast experience they gain make U.S. Fish & Wildlife Service Special Agents among the best wildlife law enforcement professionals in the world. When fully staffed, the Office of Law Enforcement includes 261 special agents and 122 wildlife inspectors. Most are "officers on the beat" who report through eight regional law enforcement offices. A headquarters Office of Law Enforcement provides national oversight, support, policy, and guidance for Service investigations and the wildlife inspection program; trains Service law enforcement personnel; fields a special investigations unit; and provides budget, management and administrative support for the Office of Law Enforcement. The Clark R. Bavin National Fish and Wildlife Forensic Laboratory conducts scientific analyses that support federal, state, and international investigations of wildlife crime. The Office of Law Enforcement also maintains a National Wildlife Property Repository, which supplies abandoned and forfeited wildlife items to schools, universities, museums, and non-government organizations for public education, and operates the National Eagle Repository, which meets the needs of Native Americans for eagles and eagle feathers for religious use. The National Eagle and Wildlife Property Repository, near Denver, Colorado stores in a 16,000-square-foot (1,486 square meters) warehouse 1.5 million specimens, mainly products made from endangered animals: tiger, rhinoceros, sea turtle, crocodile and elephant. A row of shelves 50 feet long and 10 feet high stores the hides and mounted heads of big cat: cheetah, tiger, jaguar, margay, ocelot and leopard. An objective of the server is assuring the U.S. complies with the Convention on International Trade in Endangered Species of Wild Fauna and Flora. The treaty regulates wildlife commerce to assure the survival of threatened species. The specimens in the repository were seized in customs searches at U.S. ports of entry or being trafficked across state lines. The facility develops educational programs about wildlife trade, endangered species, and conservation laws. The current Chief of Law Enforcement for the US Fish and Wildlife Service is William Woody. The Office of Law Enforcement is Headquartered in Falls Church, Virginia. In addition, there are eight regional offices that serve different geographical regions of the U.S. Region 1 (Pacific Region) - Headquartered in Portland, Oregon, serves Hawaii, Idaho, Oregon, Washington and the Pacific Trust Territories. Region 2 (Southwest Region) - Headquartered in Albuquerque, New Mexico, serves Arizona, New Mexico, Oklahoma, and Texas. Region 3 (Midwest Region) - Headquartered in Bloomington, Minnesota, serves Illinois, Indiana, Iowa, Michigan, Minnesota, Missouri, Ohio, and Wisconsin. Region 4 (Southeast Region) - Headquartered in Atlanta, Georgia, serves Alabama, Arkansas, Florida, Georgia, Kentucky, Louisiana, Mississippi, North Carolina, South Carolina, Tennessee, Puerto Rico and the U.S. Virgin Islands. Region 5 (Northeast Region) - Headquartered in Hadley, Massachusetts, serves Connecticut, Delaware, Maine, Maryland, Massachusetts, New Hampshire, New Jersey, New York, Pennsylvania, Rhode Island, Vermont, Virginia, and West Virginia. Region 6 (Mountain-Prairie Region) - Headquartered in Denver, Colorado, serves Colorado, Kansas, Montana, Nebraska, North Dakota, South Dakota, Utah, and Wyoming. Region 7 (Alaska Region) - Headquartered in Anchorage, Alaska, serves Alaska. Region 8 (Pacific Southwest Region) - Headquartered in Sacramento, California, serves California and Nevada. In Operation Chameleon the FWS undertook action against several internationally operating reptile smuggling networks. The investigations led to several convictions. In her book, Hunt for Justice, retired Special Agent Lucinda Schroeder details the Service's undercover program to arrest and convict Alaskan hunting guides who were conducting illegal hunts in Alaska's northern Brooks Range. ^ Service, U.S. Fish and Wildlife. "Office of Law Enforcement - About Service Law Enforcement". www.fws.gov. ^ "Office of Law Enforcement - Home Page". Fws.gov. 2018-07-02. Retrieved 2018-07-15. ^ Wallace, Scott (March 1, 2016). "See What's Inside This Grisly Warehouse of Wildlife Trafficking". National Geographic News. Retrieved 2016-03-01. ^ "Annual report" (PDF). www.fws.gov. 2016. ^ Service, U.S. Fish and Wildlife. "Office of Law Enforcement - Regional Law Enforcement Offices". www.fws.gov.